14th National CC Rally Page. 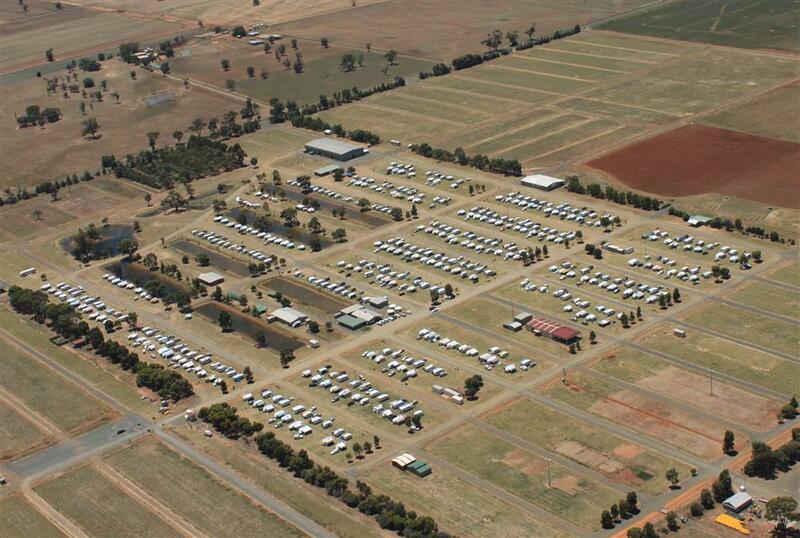 This rally was held at the Elmore Field Days site. At events like this the support we receive from Business and other Organisations is paramount to the events success. I would like to take this opportunity to acknowledge the support of the Bendigo Neighbourhood House (21 Neale St Kennington). 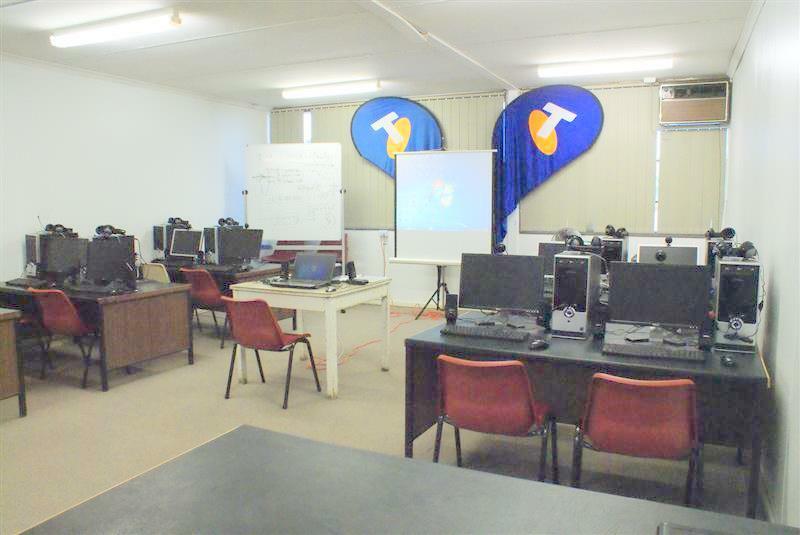 They have provided the computers, printer, projector and associated cables and accessories required to run the technology classes. Due to the high demand of attendees it was decided to provide them with a CD (in some cases DVD) of lesson notes and a variety of free software that was used in all classes. We hope this will provide some assistance when you are at home or travelling to help you. This report was given to the organising Committee of the 14th National Caravan Clubs Rally at Elmore. I would like to take this opportunity to thank everyone who participated in the Technology Classes. It was a thrill to teach you and see you take some of the advice and technologies on-board. It was unfortunate that we could not cater for more people. Hopefully we will see you at the next National Rally in Rockhampton QLD 2013. This article appeared on the 4th January 2011. The Field days site allowed us to use a small building which is normally used for Driver Training using PC's. Things got off to an interesting start on Friday 31 Dec 2010. We were inundated with people wishing to register for the Technology classes, approx. 180 people registered on the day which meant all classes we completely filled for the entire 8 days. As the day was very hot, I wish to thank those who had to endure the lengthy wait times in the uncomfortable heat. Thank god the classes are being held in air-conditioned rooms. The demand was so high that at least three additional classes were provided in the evenings and I suspect more may be required as we progress. I would like to take this opportunity to acknowledge the support of Telstra Country Wide Bendigo. They have provided broadband ADSL2 access for the technology classes along with emergency mobile phone rechargers and some DVD's of instruction in the use of aspects of mobile phones. 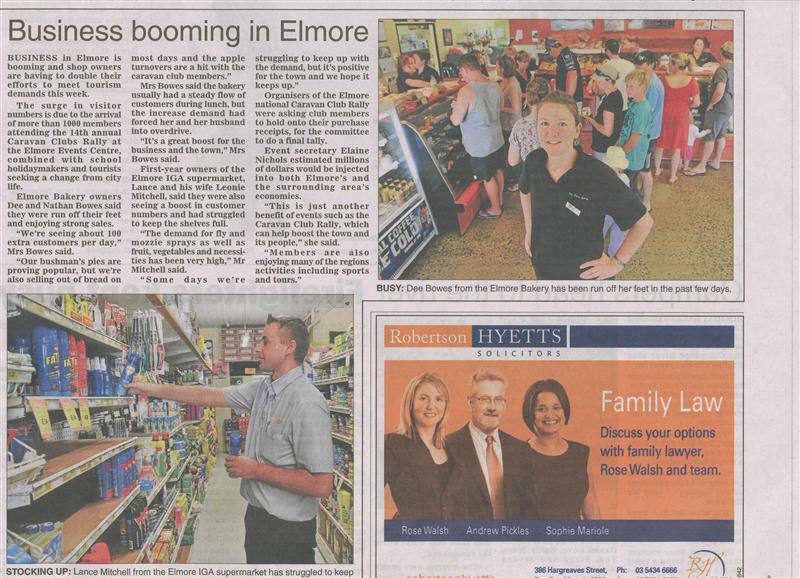 Thank you Briana Trimble and Mark Owen (Telstra Country Wide Bendigo) for your assistance. A birds-eye view of the rally site. Congrats go to Nick Busutil from the 14th National Caravan Clubs Rally who was the first to correctly name the standard computer keyboard layout. 'QWERTY'. Nick won a wireless keyboard and mouse set. Picture does not necessarily represent model of prize. My Expression is a not-for-profit organisation that provided support for other not-for-profit organisation/clubs etc. The support we provide centres around web sites and general I.T. assistance. As long as you are in Australia, then we will see what we can do to assist you. This event is being facilitated by Gary Fitzgerald the Director of My Expression as part of his voluntary position with us. Sorry we could not print all of the kind comments, as there would not be enough room. 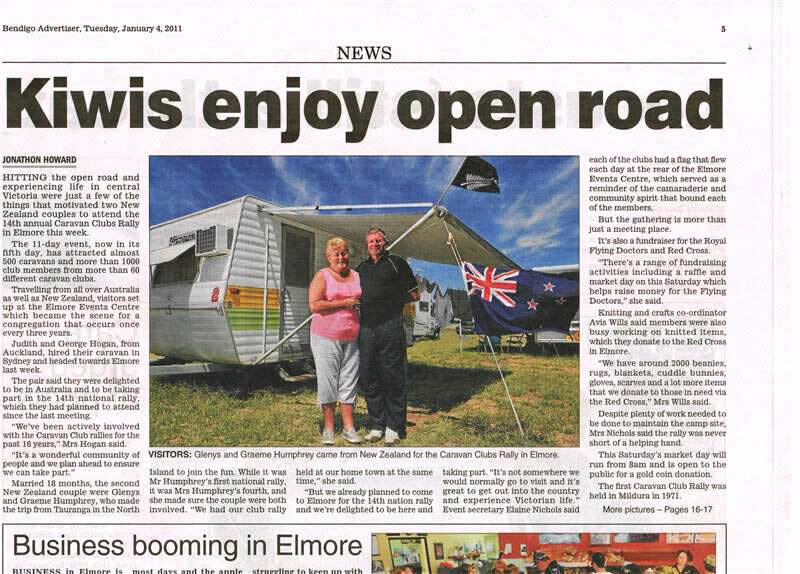 This was part of a report in the 'Bendigo Weekly' on 7th January 2011.